They Shall Not Grow Old is surely one of the finest documentaries in recent memory, or at the very least one of the most unique. Commissioned for the one-hundredth anniversary of the World War One armistice, director Peter Jackson (The Lord of the Rings trilogy) and his team miraculously create a narrative of one of the most important events in modern history in a manner that has never been done before. Abandoning the traditional documentary style of military history, Jackson uses no narrator, no maps, no dates, or any other indicator that the viewer is witness to the largest conflict mankind had seen up to that point. Instead, the film relies solely on previously unreleased archival footage and interviews. With these never-before-seen materials as a resource, viewers are educated not in politics or military tactics, but in the way that everyday people experienced the war. 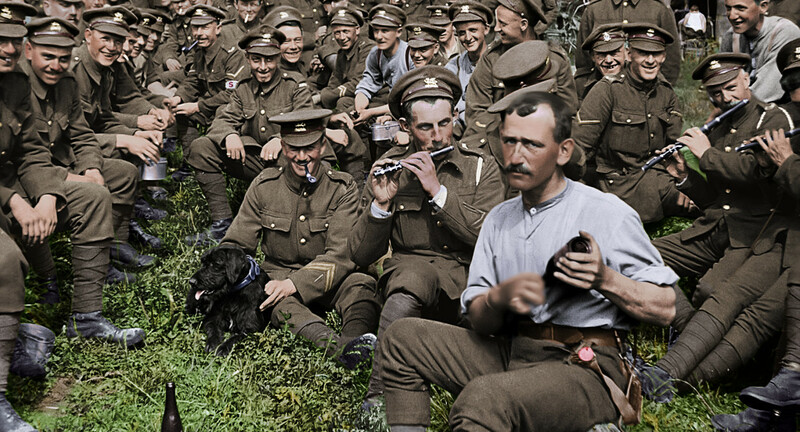 One of the most interesting aspects of They Shall Not Grow Old are the effects which breathe life into raw, damaged, and grainy footage of the front lines. The movie begins showing these scenes in this natural, dysfunctional state. Once action reaches the trenches, however, shades of gray give way to bright blues and greens, and blur is remediated by clarity. It is difficult to imagine the painstaking process of which such damaged recordings were remastered, but the end product is a clear marvel in technology and brings with it a level of intimacy. And if They Shall Not Grow Old were to be described with a single word, it should be ‘intimate’. No names are given until the end credits, and even then, to assign each voice to a name would be no more than a lucky guess. Yet from the first moment we hear the voices of the veterans, we are drawn into a whirlpool of conflicting emotions. You immediately sympathize with these men, and one of the emotional marvels of this film is how it uses this connection to create a feeling of dread and tension where there shouldn’t be any. Every interviewee obviously survived the war as they sit recounting their experiences, but one can not help but feel relief when they talk of their return home. Even without ever seeing their faces, it is almost as if the viewer knows the former soldiers personally. And in combination with the hauntingly beautiful visuals that depict both small moments of joy and unimaginable images of death, this film creates an experience which brings us closer to history than any other media form. Jackson and his team educate through a different kind of storytelling. The story told is not in the form of lecture, nor does it recount countries and emperors and global politics. 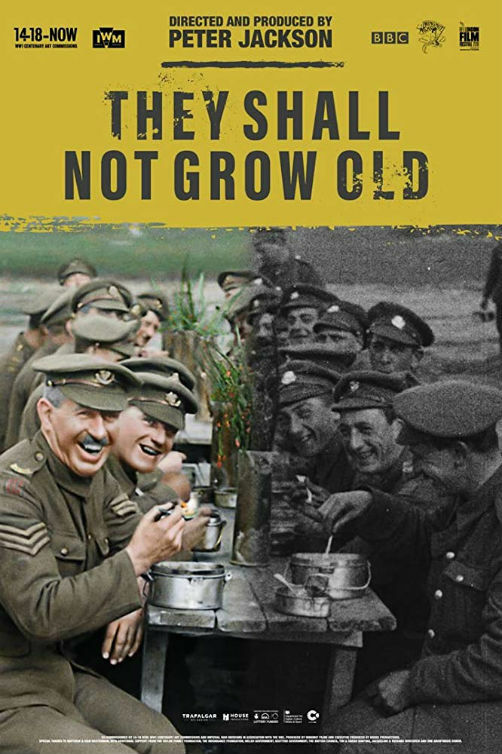 They Shall Not Grow Old is the story of people. 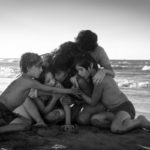 It is a narrative of humanity that, rather than focusing on the larger picture, examines the lives of a few individuals whose experiences bring more clarity to situations than any grand retelling ever could. These few who came to tell their story were often blunt in their accounts, sometimes even joking. They would never call themselves heroes, but each of them should be recognized for performing an extraordinary act; in the face of violence, brutality, disease, and pain, they never lost an ounce of their humanity.